I am an independent professional with a broad range of business, technical and creative experience, encompassing theatre, cinema, music, conference, and outdoor events. 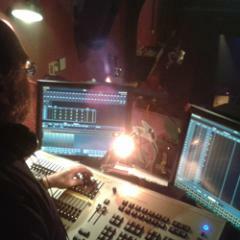 Since 2003, I have successfully delivered on a variety of contracts, working as a company manager, tour manager, technical stage manager, sound engineer, theatre technician and theatre manager. I have extensive touring experience, taking in a diverse range of venues including outdoor festivals and outdoor theatre, arts centres, village halls (including Arts Council Rural Touring scheme), pubs, and major provincial theatres. I have excellent communication and interpersonal skills and a successful track record of leading and contributing to technical, creative and business teams working in a wide range of demanding environments. I have a full, clean driving licence, including Cat C1 and C1E (up to 7.5t and trailer) and Cat D1 and D1E (minibus and trailer). I have many years experience driving light vans (up to LWB Transit) for personal use and professional use on national tours. I am educated to post graduate degree level, and have a strong commitment to ongoing personal development. John is very hard working and a great team player! He was extremely easy to work with and great company on such a long run!